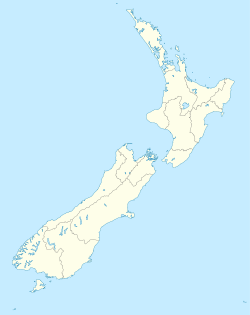 Balclutha (Māori: Iwikatea) is a town in Otago, lying towards the end of the Clutha River, on the east coast of the South Island of New Zealand. It is about halfway between Dunedin and Invercargill on the Main South Line railway, State Highway 1 and the Southern Scenic Route. Balclutha has a population of 3,990 (as of June 2018), and is the largest town in South Otago. The Clutha District Council is based in Balclutha. The major service center for the fertile farming region around the lower reaches of the Clutha River, it is also the nearest large town to the Catlins, a scenic region of native forest, wildlife, and rugged coastline. Known locally as "Clutha", Balclutha's name - and that of the river on which it stands - reflects the Scottish origin of the town's settlement. The name comes from Scottish Gaelic and would be spelt Baile Cluaidh in that language; this translates into English as "Town on the Clyde". James McNeil from Bonn Hill, Dumbartonshire, Scotland, who is regarded as the town's founding father, arrived in 1853, via Port Chalmers in 1849. His farm was on the site of the present town, where he and the Provincial Government established a ferry service across the Clutha in 1857; as a result the town was initially called Clutha Ferry. The Māori name for the area is Iwikatea, literally "Bleached bones" (a local Māori tribal battle in 1750 left the decomposing bodies of the defeated, their bones whitened in the sun). The Clutha River flows through the town. It is the largest river in New Zealand by volume of water, and the country's second longest after the Waikato. It provides the town with various recreational facilities, including fishing (brown trout), water skiing and power boating. The most prominent structure in the town is the concrete Balclutha Road Bridge across the river, which was built in 1935. The original 1868 wooden bridge was washed away on 14 October 1878. Rebuilt in 1881, it was later considered unsuitable for motor vehicles. The South Island Main Trunk Railway crosses the river some 800 metres downstream, near the junction where the Clutha River divides into the southern branch, known as the Koau (pied shag), and the northern the Matau (derived from Mata Au, the Maori name for the Clutha). Most of Balclutha township lies on 'the flat' land which lies within a wide loop in the river to the south of the road bridge, but North Balclutha is on the hill to the north of the bridge and Rosebank on the hill to the south. Including the environs of the Clutha itself, there are a number of other interesting natural features in and near Balclutha. Nearby at Benhar / Kaitangata is Lake Tuakitoto, and Matai Falls, a natural waterfall and scenic feature is in the Catlins. The Nuggets near Kaka Point are worth noting. The yellow-eyed penguin also comes ashore for breeding in the Balclutha area at the edge of the Catlins.